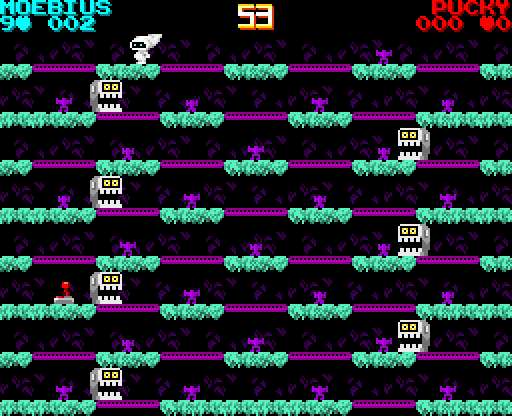 Play as Moebius or Pucky, rescue thousands of lost imps and return them to their natural habitat in unusual but not so distant places. 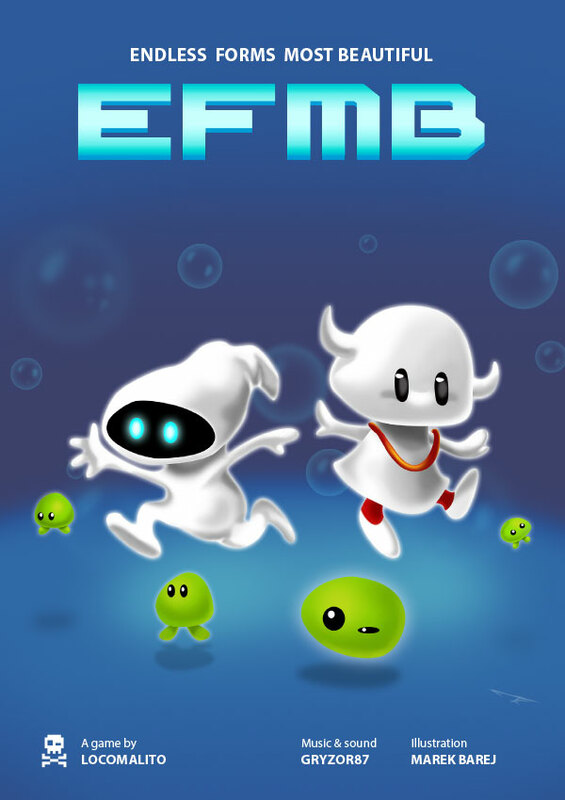 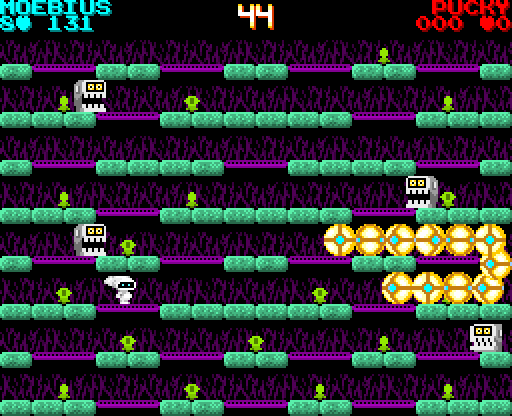 EFMB is the remake of the brilliant ZX Spectrum game created by Dave Hughes in 2012. 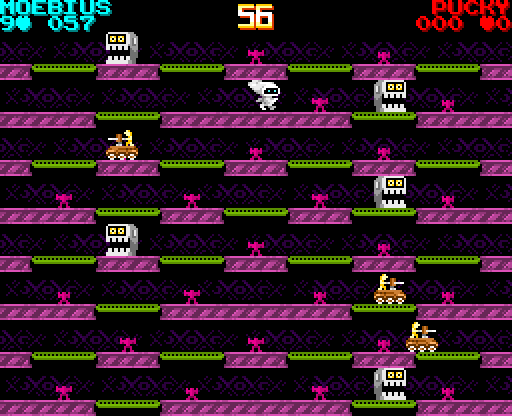 The game includes bizarre mechanics that force players to concentrate and use all their mental power. 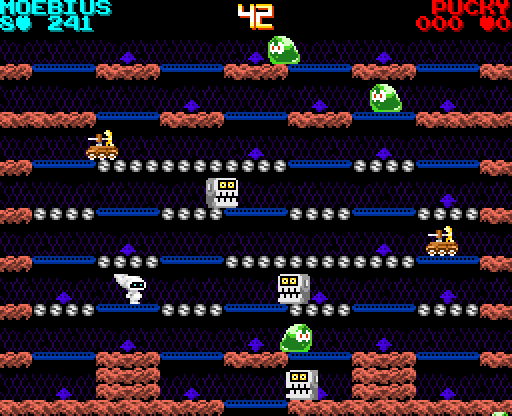 The remake has new elements and game modes for cooperative and versus plays. 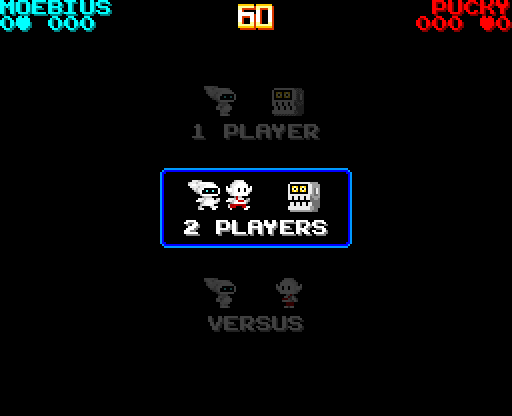 2 players on cooperative or versus mode. 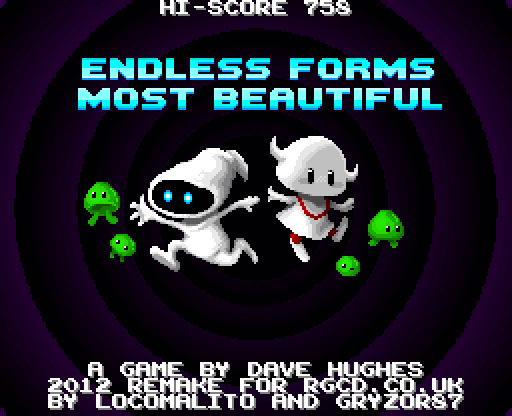 15 levels with procedurally generated backgrounds and creatures. 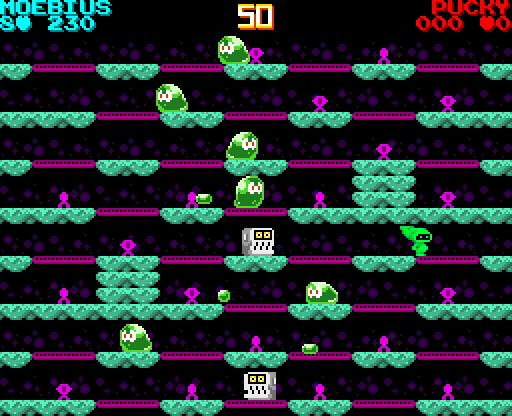 The original game created by Dave Hughes. 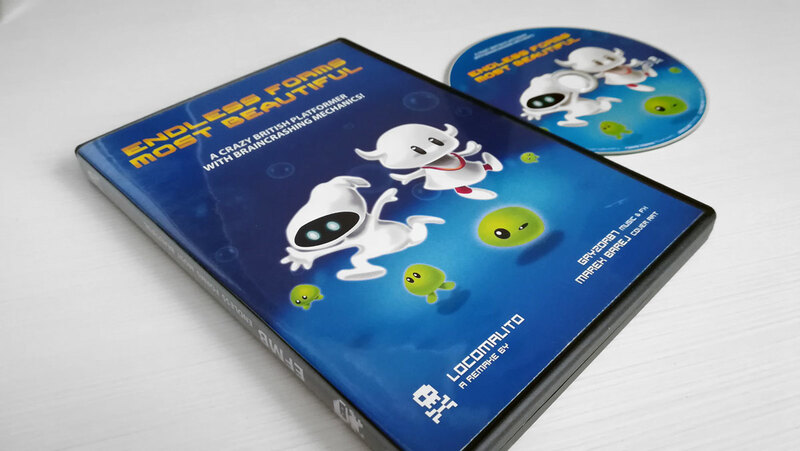 The project started with the initiative of RGCD to develop classic games in the present. 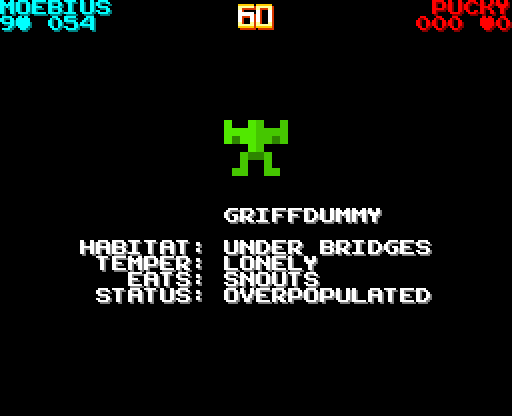 It was my first game for more than a single player.